Stand and listen to some traditional seasonal tunes, brought to you by the very festive Dickens Yuletide Band. 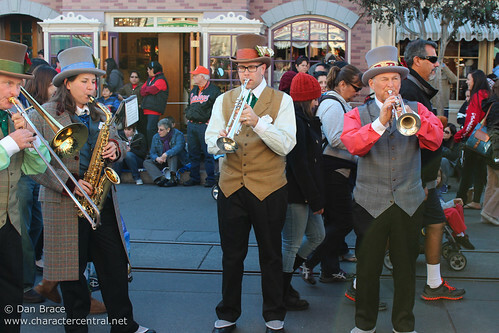 The Dickens Yuletide Band usually appear on Main Street throughout Holiday Time at Disneyland Park. They aren't always on the schedule, so just be sure to look out for them, or ask at City hall.